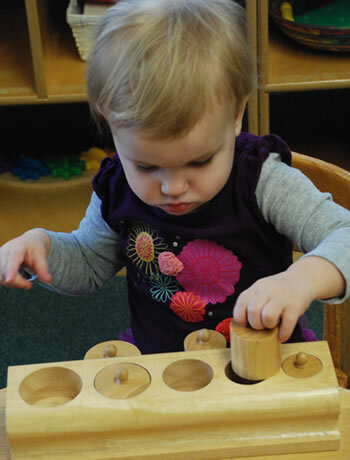 Montessori Prep is offered for children ages 18 months through three years. In our Prep program, toddlers are introduced to the initial Montessori environment and materials that stimulate their natural desire to learn. The activities in the Prep environment are designed to enhance the development of independence and self-help skills. Children in the Prep program may choose to attend for afternoons as well. The Prep afternoon program includes lunchtime, nap, and social interaction.